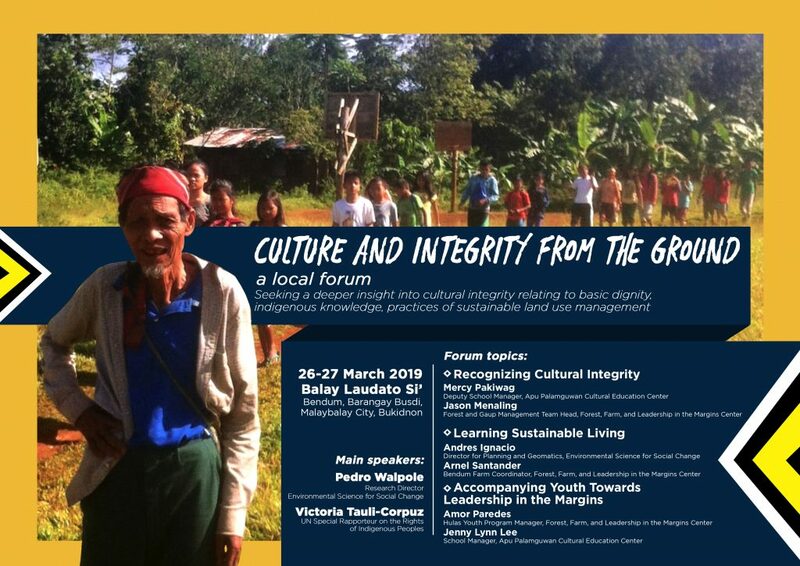 The Apu Palamguwan Cultural Education Center (APC) invites you to join the Pulangiyen community in Culture and Integrity from the Ground, a Local Forum, to be held on 26 and 27 March 2019 at Balay Laudato Si’ in Bendum, Malaybalay, Bukidnon. This is a local event humbly offered to others who may wish to join, and APC is offering this occasion to gather and share about the experiences of life in Bendum among its partners and friends. 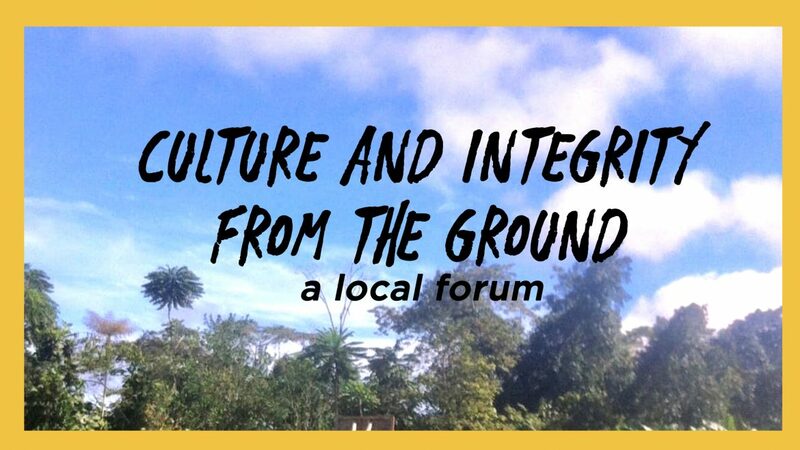 With this local forum, deeper insight into cultural integrity is sought as this relates to basic dignity, indigenous knowledge, and practices of sustainable land use management. Pedro Walpole SJ, APC Executive Director and Environmental Science for Social Change (ESSC) Director for Research, and Ms Victoria Tauli-Corpuz, UN Special Rapporteur on the Rights of Indigenous Peoples are the keynote speakers. We invite you so next year you can come back and share your story. For more information on the APC forum, please send an email to sylviamiclat@essc.org.ph.